Happy Thursday, ladies! Hope you are having a wonderful week. 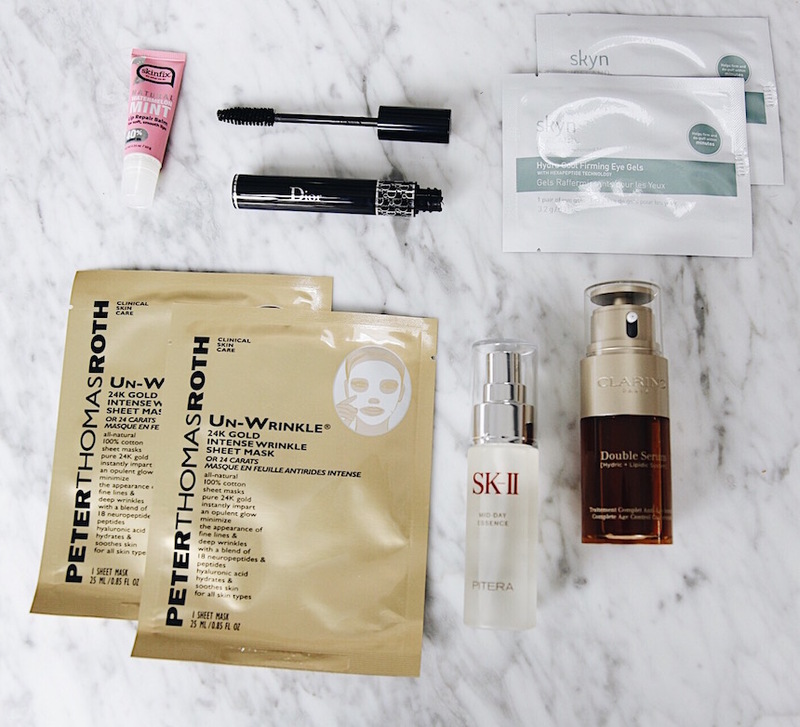 Today we’re sharing some of our favorite skincare/beauty products we brought with us to the RewardStyle Conference last weekend – all of these products are a part of the Beauty with Benefits campaign which supports Cancer and Careers (an amazing organization that helps women with cancer in the workplace – a topic very near and dear to us). QVC is compensating us to share this post, but (as always!) opinions are 100% our own. We received handwritten notes from women (mothers) who have been helped by the organization and they brought us to tears in .25 seconds, and we are happy to share these products with you today because not only do they help women, they are some of our favorites! We’ve used Dior mascara forever, and this one is really great because it doesn’t clump your lashes together. I had lash extensions put on, but still use mascara on my bottom lashes. Here’s a trick I use to keep the mascara from transferring to my skin throughout the day – “bake” your under eyes before you apply your lower mascara. To do this – take a damp beauty sponge, dip it in loose powder, and heavily coat your under eyes. Then, apply mascara, let it dry all the way (about 15 min or so), and then use a soft brush to swipe all the extra powder away! Voila! Your mascara will not transfer all day! 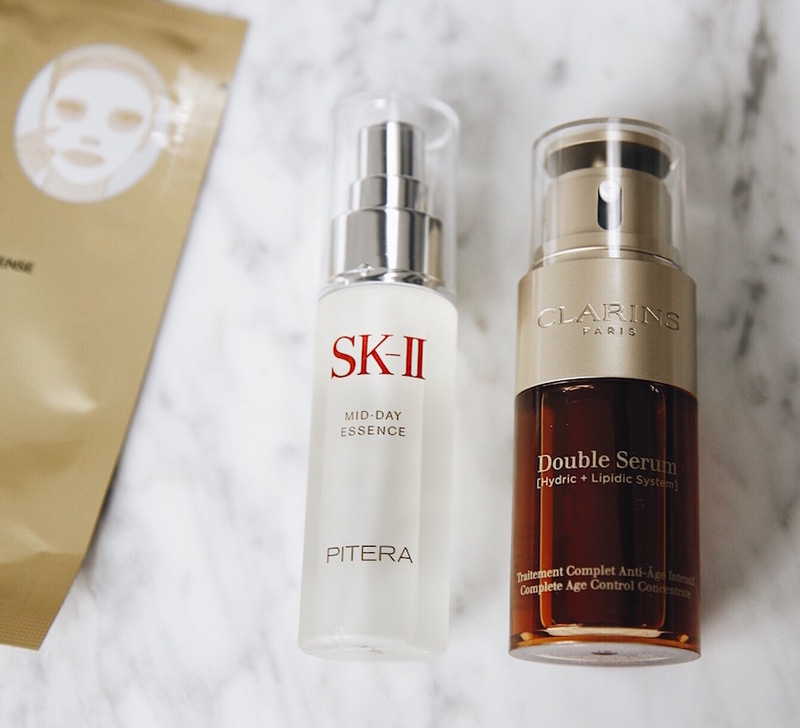 This was our first time trying anything from SK-II (I know, where have we been?! ), and it definitely lives up to the hype! 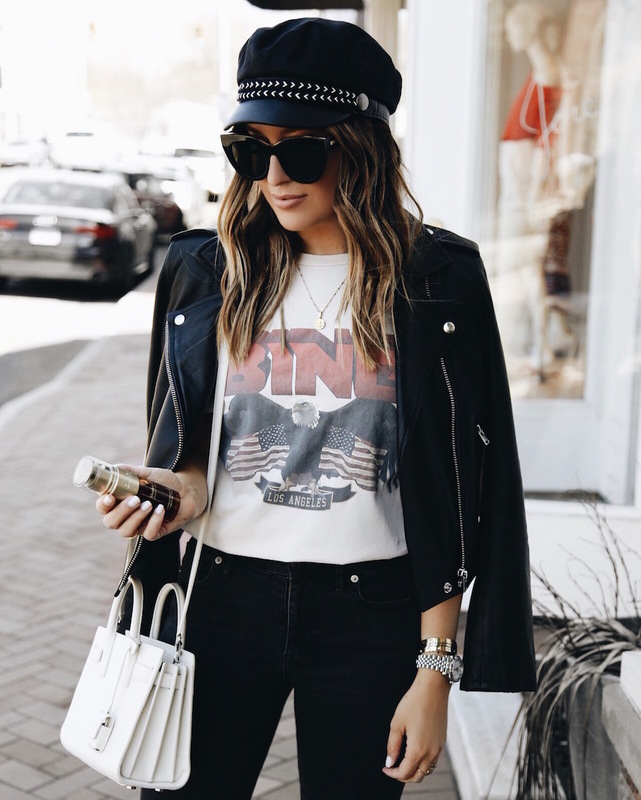 We loved the Mid-Day Essence as a setting spray for our makeup – it really helped keep our makeup on and in place from morning until late night (our days were 8:30am – 11:30pm). 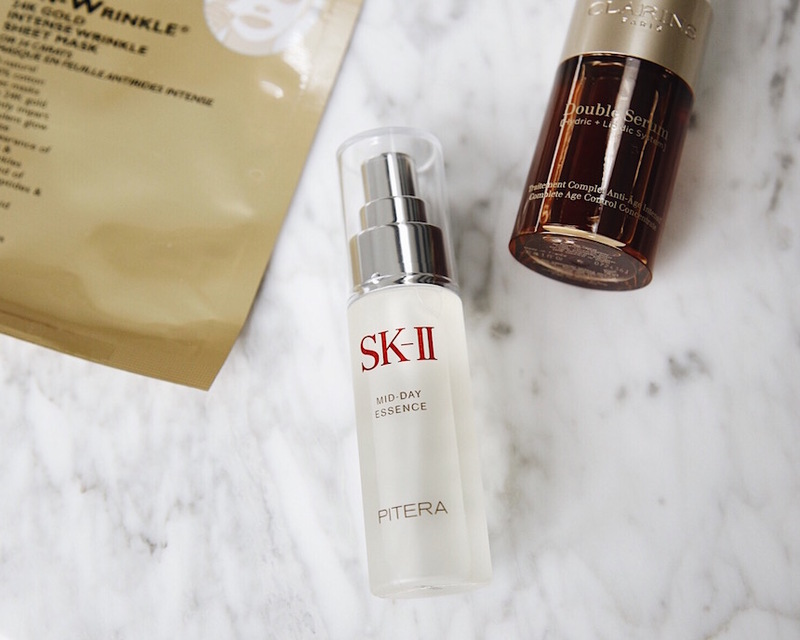 This will also come in handy during the summer – it feels so good on your skin! 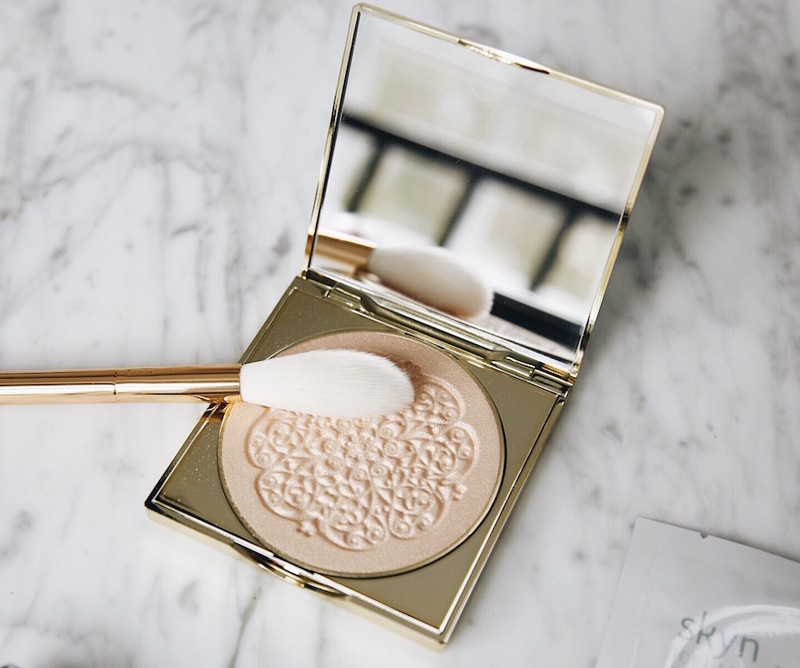 You know we love a good highlight, and this one from Tarte is so pretty! This brush makes for perfect daytime application, but at night, I like to use my fingers to get a more concentrated highlight. We have yet to be disappointed by a Tarte product (obsessed with this concealer)! 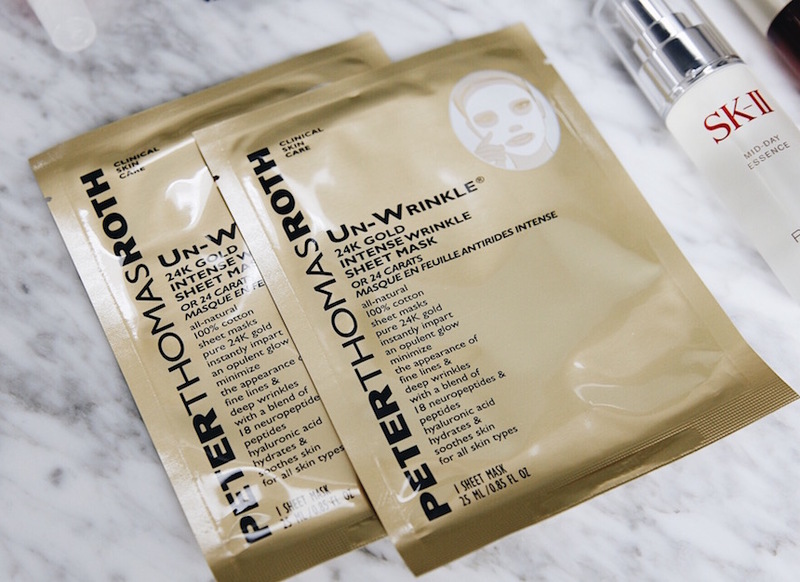 Peter Thomas Roth is always one of our favorites (especially for masks and treatments), and we used these Un-Wrinkle sheet masks every night before bed! We have the eye patch version of these as well (love those too!). 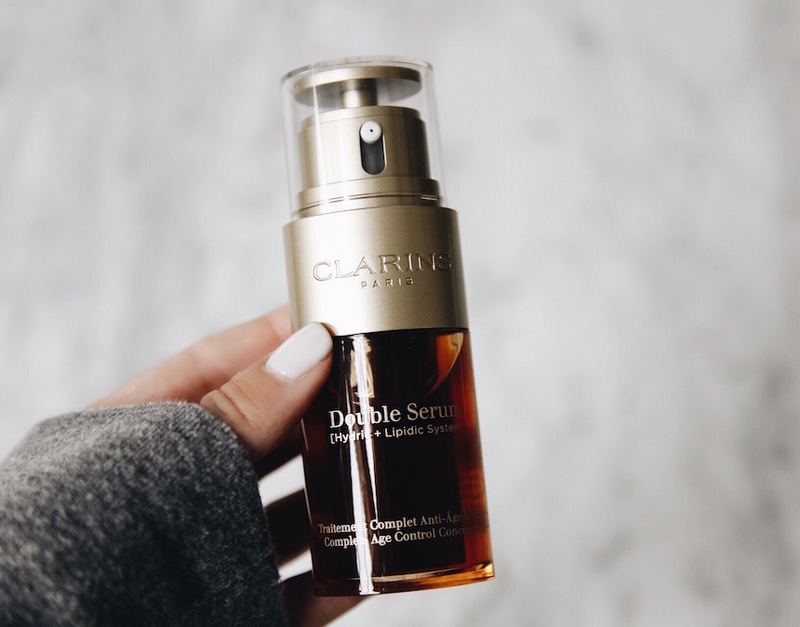 The Clarins Double Serum has been a favorite of mine for a looong time! I use this at night after cleansing (especially love to use it after microneedling). 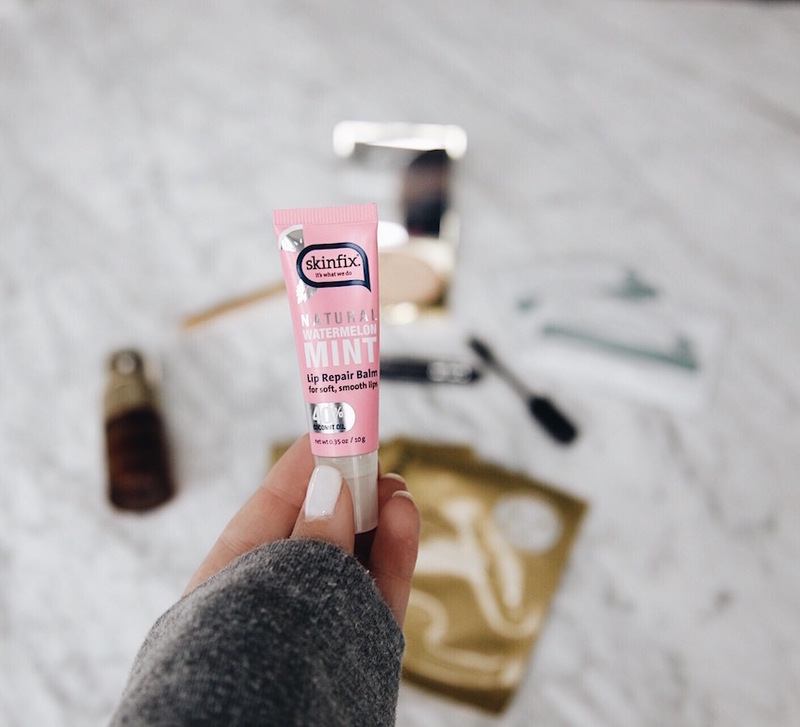 We couldn’t stop using this Watermelon Mint lip balm from Skinfix…omg it’s SO good! It smells and feels amazing on! 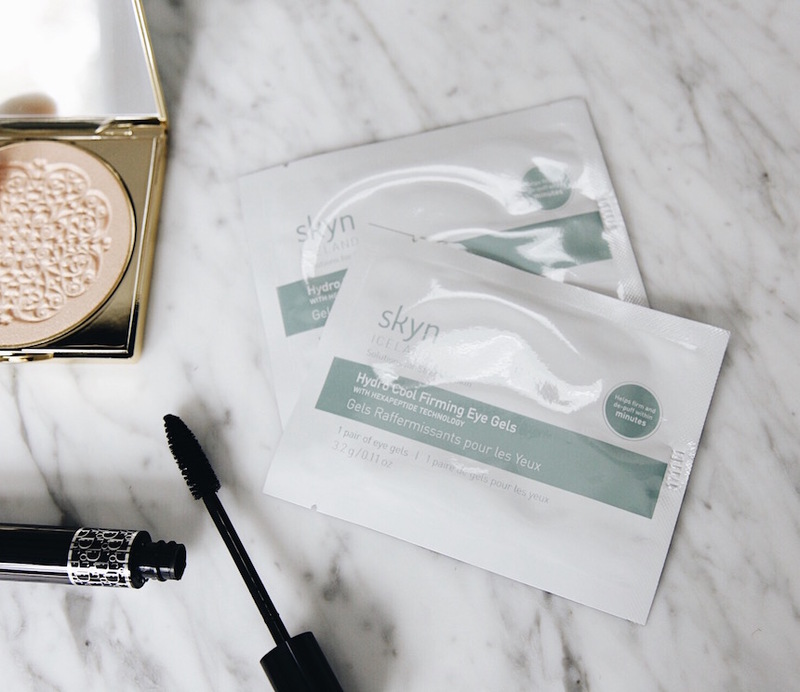 Every morning we used these Skyn Iceland eye gels and they felt soooo good on our tired eyes! We put them in the hotel’s mini fridge to give them an extra cooling effect. We wanted to just lay in bed all day with these on by our 3rd day at the conference lol!